Dubai: Businesses in the UAE wanting something more than a change in their office address are finding free zones to be where the action is. In fact, in what has been another tough year for the office property leasing market, free zones have managed to more than hold their end up. Whether offering “dual licensing” options to tenants or revising their fee structure, these free zones are doing their bit to pull in higher occupancy. For instance, Dafza (Dubai Airport Free Zone) reduced its fees for registration, licence and staff visa fees for new investors by 65, 33 and 20 per cent, states a recent update by Core consultancy. Other associated fees have also been reduced or waived entirely, the report adds. In the current market circumstances, these count for quite a bit in attracting or retaining tenants. Some of the free zones in the Northern Emirates are moving in sync with trends, such as having licences for freelancers in the media and allied sectors. In Sharjah, the developer of Al Saja’a Industrial Oasis — a 14 million square feet multi-purpose zone in the making — introduced a 5-year payment plan at zero interest rate for the plots. Then there is the dual licensing scheme, whereby businesses can service both the local market and overseas from a free zone location. At Al Saja’a Industrial Oasis in Sharjah, phase two sales are taking place, which is accompanied by the zero interest rate for a five-year term. This way, they get a “branch” licence under the Department of Economic Development (DED) to operate in the local market, albeit in certain sectors. 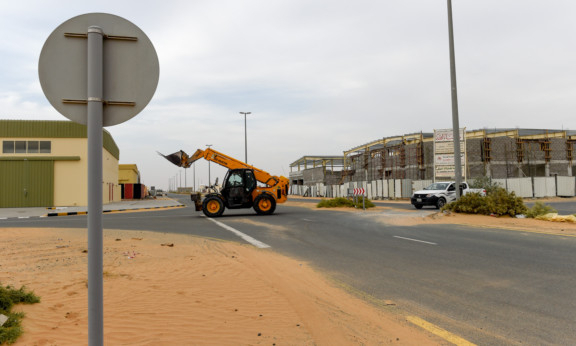 Some of Dubai’s free zones started the trend, which has since been applied at other jurisdictions in the UAE. “Dual licensing does not mean that only a single license is permitted — rather, you can operate with both offshore and onshore (capabilities),” said Joel McQueen, head of Commercial at Core. “Some free zones are now offering dual licensing. We also see free zones adopt a proactive approach towards attracting tenants, (including offering) more agile and flexible workspace solutions such as flexi-desks," he added. Core’s rental tracker suggests that Dubai Design District, D3, was the single commercial location in Dubai to actually record rental gains this year. 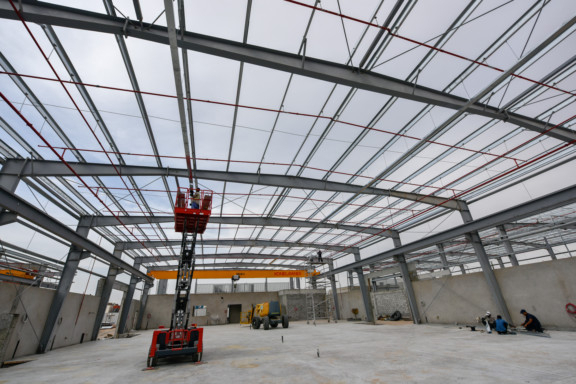 At Al Saja’a Industrial Oasis (Asio) in Sharjah, phase two sales are taking, which is accompanied by the zero interest rate for a five-year term. On the infrastructure side, the “entire project is fully developed”, said a spokesperson for the operator. Freehold plots are available for UAE, GCC and Arab nationals and non-Arabs can acquire on leasehold based on “usufruct right”, whereby they are full owners for the duration of their tenure. “The selling rate depends on the sizes of the currently available plots, which range between 16,000- and 112,000-square feet. Asio has already started handing over plots to investors, and some businesses have proceeded to commence build-up of their plots. The plot usage ranges from industrial to retail and mixed-use purposes. The spokesperson said: “We have a good mix of investors — for those looking to relocate to Sharjah and those expanding their business due to its strategic location.” The industrial zone is situated off Emirates Road and with direct access from the highway. In Dubai, the Industrial Park and Logistics City are building their profiles with tenant prospects, and the process will accelerate as that entire stretch of Dubai — and which also includes Dubai World Central — gets into full development mode. But will that new capacity impact on what free zone operators can charge as rents? “High occupancy and limited short-term supply have sustained rents in some free zones,” according to McQueen. For the moment, it’s all that counts as free zones buck the trend in a soft commercial property market. If any real estate investor in the UAE still has doubts over placing funds in industrial real estate, they just need to take their cues from Aldar. The Abu Dhabi developer last week confirmed plans are being drawn up to acquire/build such assets, including warehouses, logistics facilities and even data centres. Chief financial officer Greg Fewer said this has to do with creating new revenue and value generating possibilities over the longer term.